When you browse the internet or wish to stream, you wish to enjoy privacy and don’t want peering over your shoulder. These days, it has become incredibly easy for people to keep track of your activities and not everyone wants that. In this case, you can use a virtual private network as it is designed to keep your IP address cloaked. Put simply, it extends a private network across a public one and data can be sent or received across public or shared networks as if they are directly connected to the private network. There are several VPN services that you can find, but if you are looking for one that offers you excellent security, ease of use and a wide server network, NordVPN Hong Kong is the right choice. There are several useful, interesting and exciting features that NordVPN Hong Kong has to offer. Thanks to these features, users can enjoy plenty of customization and flexibility, but security is the best thing that this particular VPN service has to offer to its clients. It caters to all those people who are trying their best to secure their use of the internet. The first feature that you will come across is called CyberSec, which is offered at installation completely free of cost. This is an add-on that’s designed to detect phishing attacks, block malware and adware and prevent any other kind of unpleasantness associated with cybercrime. When you turn on CyberSec, it provides an extra layer of protection to the user when they are surfing the internet and keeps all hackers at bay. One very nifty and appealing feature of NordVPN Hong Kong are their ‘specialty servers’ that are aimed at very particular types of internet behavior such as gaming (dedicated IP servers) and torrenting (P2P) servers. The server types that the target audience finds most useful are the ones that are designed for dealing with specific threats like governmental snooping and DDoS attacks. The DoubleVPN servers are also a notable feature of NordVPN and they are also referred to as ‘double-hop’ encryption. When you opt for this, your traffic is routed over a VPN after it is connected to another one. This means that even if one VPN tunnel is cracked by someone, they will have another one to deal with. 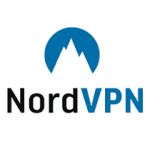 You can also find a killswitch with NordVPN HK, but instead of severing your internet connection when the VPN fails, it doesn’t allow you to access the internet unless your VPN is engaged. If you are after a more conventional version of the killswitch, you can also find it for specific programs and apps and this can be quite useful for torrenters. If your VPN fails, you will still be able to check your mail and stream, but your torrent client will stop working. This is quite handy and not very different from split tunneling. Apart from that NordVPN Hong Kong is also very effective at eliminating geo blocks and you will be able to access numerous streaming services like BBC iPlayer, Netflix, Amazon Prime Video and Hulu. NordVPN Hong Kong can offer you high value for money, as compared to other VPN providers. The monthly plan might seem a bit expensive to some as it is priced at $12, but the one-year and especially the two-year plan are definitely great deals. The annual cost is around $83.88 whereas a two-year subscription requires a payment for $95.75. There is also a plan for three years, which will incur a cost of $107.55. All plans enable you to enjoy unlimited bandwidth and you can use the VPN services simultaneously on six devices. While some providers may be cheaper, but you will not find a more user-friendly and secure option than NordVPN HK. There is a 30-day money back guarantee and you get a chance to judge the services and see if you want to continue and sign up for a long-year plan. As far as payment methods are concerned, you can enjoy all the usual options that include all major credit cards, PayPal and a variety of local options such as Sofort, AliPay, iDeal etc. If you want to stay completely anonymous, you can also use Bitcoin, Ripple or Ethereum for signing up at NordVPN. Another perk of choosing NordVPN Hong Kong is that it is incredibly easy to use and even the worst of tech novices will have absolutely no trouble in using its services. When you want to sign up for its services, you need to provide your email address and select a payment method. Once you have done so, an email will be sent to you with a link where you have to create your password. Choose a strong password so no one can access your services. You can use your VPN services on Windows 7 to Windows 10, Mac, Linux and also iOS and Android. Both the desktop and mobile versions work smoothly and you will have no issues in learning how to use NordVPN HK. Plugins are also available for Firefox and Chrome, which allows it to protect your browsing easily. NordVPN Hong Kong is termed a market leader in terms of server network as it has a total of 5088 servers that are spread out over 62 countries. Except for Antarctica, NordVPN has servers on each continent and all servers offered are ‘dedicated, which means that they actually have physical machines located in the countries mentioned and don’t rely on virtual servers. In a nutshell, NordVPN Hong Kong is very secure, extremely user-friendly and affordable. With this VPN, you will be able to access all streaming services with ease. It boasts quite strong encryption and several options are available for reaching out to the customer service. You can enjoy great speeds and get all the information you need with ease. The features available via NordVPN HK make it an all-in-one solution who are looking for complete privacy and security when they are surfing on the internet.